Same goes for the hot new socialist, Alexandria Ocasio-Cortez. She's everywhere now as she runs for a New York seat in the U.S. House. And with that comes money — and bling. In a photo shoot for Interview magazine, Ocasio-Cortez was pictured wearing a $3,500 outfit as she posed with construction workers. She was decked out in a Gabriela Hearst blazer ($1,990), Gabriela Hearst pants ($890), and some Monolo Blahnik shoes ($625). She’s wearing a more than a month’s salary for most Americans…and she’s going to lecture us about income inequality and why we should trust her and her ilk with our money. No—hell no. Bernie Sanders was seen as somewhat folksy when he attended the White House Correspondent’s Dinner in a regular suit. He did not wear a tuxedo because he didn’t own one. Then, we found out about his three houses and his wife’s disastrous spending spree at Burlington College, which killed it. They can have and spend money because they think they’re some philosopher kings who should be entrusted with more of our money and more government power to bring about social justice and change. Yeah, nope; this might fly in the Acela Corridor, especially in parts of New York and California, but outside of that—this agenda isn’t going far. The most liberal states will fall victim to it, but that’s about it. Hey, it’s for the narrative, right? Screw the details. Both Ocasio-Cortez and her ally Julia Salazar, who successfully booted a 16-year Democratic incumbent for the state Senate last night, have tried to paint themselves as spawns of the working class when in fact, they were quite comfortable. 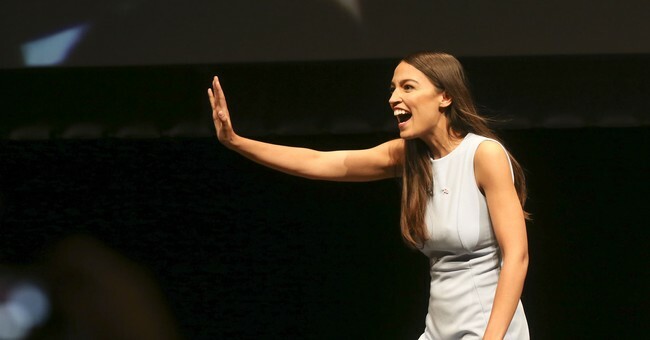 Cortez grew up in Westchester County, while Salazar had a nice upbringing as well; she has a trust fund for goodness sake. Again, making money, having well-to-do parents is fine. But when you lie to garner lefty achievement points with the whacko progressive Democratic base, you open yourself to being attacked. It should have happened to Elizabeth Warren who fooled plenty for saying she was Native American. And all of these women have lied or stretched the truth to its extreme limits to cast themselves as working class proles, seeking to enact change. Socialism being inherently dishonest, gee—what a shocker.